Back in 2008 Civilization Revolution on the Xbox 360 served as my introduction to the wonderful strategy series that’s been around since 1991. The gameplay was incredibly addicting and winning battles was wonderfully satisfying again and again. One night browsing the app store in my hotel room in Hawaii I stumbled across a pleasant surprise when I saw Civilization Revolution 2 for sale. I bought it immediately and spent countless hours trying to dominate the world rather than sleeping. 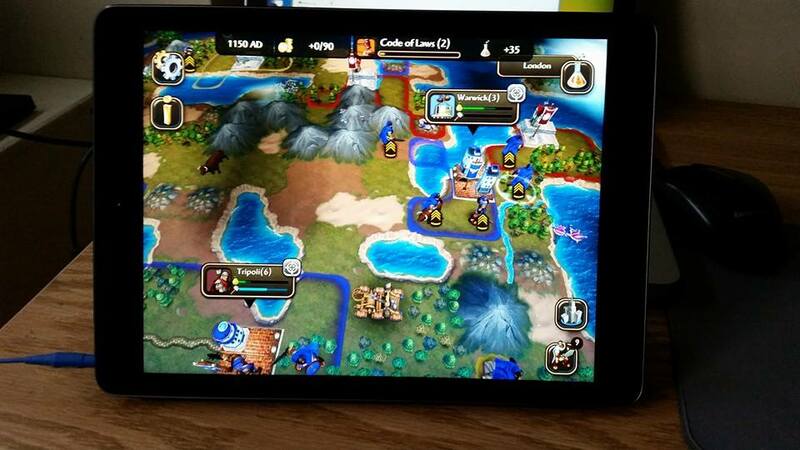 Revolution 2 plays great on the iPad and offers hundreds of hours of enjoyment for longtime Civ fans or newcomers alike. I’ll be enjoying Civilization Revolution 2 well into 2015 and beyond, and it certainly deserves recognition as one of the best games released in 2014. 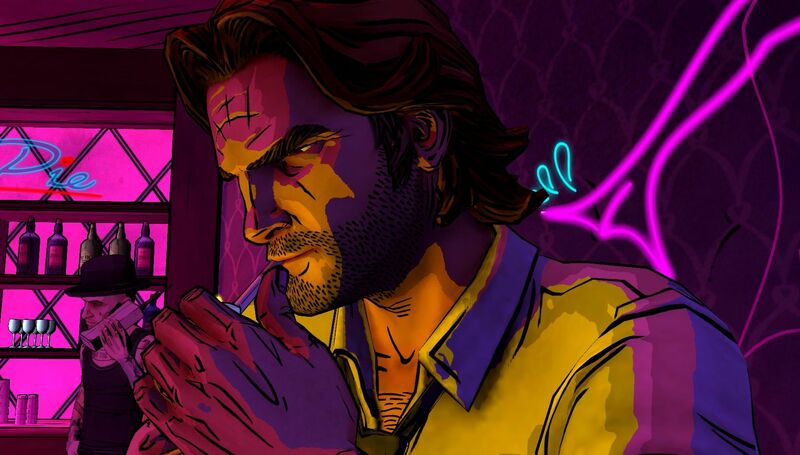 Telltale Games’ The Wolf Among Us took me by surprise this summer. I was never blown away by the Walking Dead games but decided to give The Wolf Among Us a try. I downloaded the entire season on the iPad this summer and dove right in. I was immediately blown away by the unique, dark world and the amazing characters within. The music and scenery during the introduction following the preface absolutely blew my mind and ranks as one of the most awe inspiring sequences in a video game I’ve ever experienced. The mystery Bigbee gets wrapped up in kept me on the edge of my seat throughout the entire experience and every twist and turn made it so hard to put my iPad down. 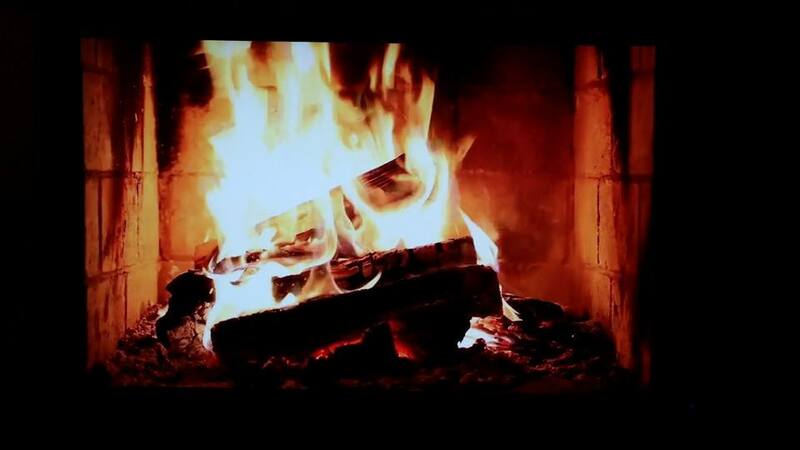 I burned through the episodes as quickly as I could and loved every minute of it. 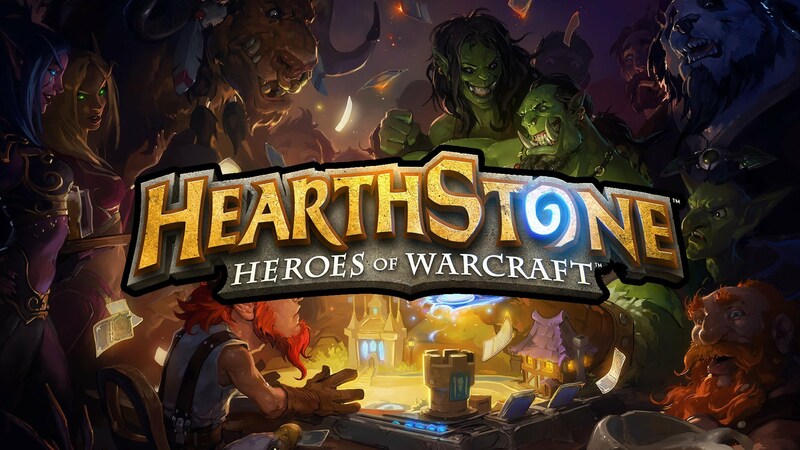 Hearthstone is an incredibly well made, free card battle game. Blizzard took a chance and hit a grand slam with Hearthstone. The game features great artwork, animation and sounds along with easy to pick up, hard to put down gameplay that provides countless hours of entertainment. I feel like Hearthstone is quite easy to understand and get the hang of compared to other card battle games like Magic the Gathering, but there’s still plenty there for more seasoned players. Hearthstone is so hard to put down because no matter how badly you’re being beaten you’re never quite out of it. I’ve been on the edge of defeat and have gotten the right cards at the final moments and have battled back from that edge and onto an incredibly satisfying victory. There’s hardly anything more rewarding than experiences like that! Telltale games have had a big year this year. The Wolf Among Us came to a wonderful conclusion this summer and then this winter saw the start of two new adventures with Game of Thrones and Tales from The Borderlands. The latter has not only been my favorite Telltale game to date, but also one of the most enjoyable experiences I’ve had with a video game ever! The first episode is upbeat, colorful, energetic and absolutely hilarious from start to finish. I’ve never laughed so much while playing a game. I had a smile on my face from start to finish as I made my way through the exciting chapters of the first episode. There was never a dull moment and the conclusion to the episode had me dying for more. I can’t wait to experience the rest of the story! Tales from the Borderlands confidently lands at number two on my list because it was a refreshing experience with some incredible writing in a great world. I highly recommend it! This is sure to be a controversial pick for a variety of reasons. First of all, this is technically a re-release of games spanning from 2001 to 2013. Secondly, the game had an incredibly rocky launch, and was not ready to be released upon the salivating masses in November. It’s true, for the first three weeks I owned the game I was only able to play around 15 matches which is entirely unacceptable. That said, now that the game has been more or less working as intended for the last week or so it’s easily been my most enjoyable gaming experience of 2014. 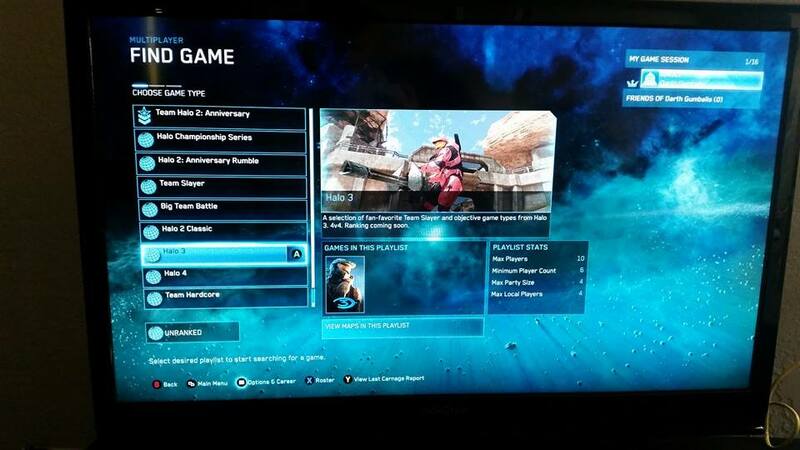 Being able to jump into matches across four different Halo games with my friends from around the world with whom I’ve played the games with in the past. It’s amazing to see how much Halo has grown all in one package. We used to throw our cumbersome CRT TV’s in our cars and drive miles to a central meeting place, lug our TV’s downstairs, order pizza and play Halo for hours on end. To be able to jump into a game of Halo Combat Evolved or Halo 2 with the push of a button is awesome. To be able to play a match of Halo 3, 2, and CE in quick succession is equally awesome. The Halo 2 Anniversary remake is a stunningly beautiful way to relive both a great campaign and a great multiplayer experience. I will easily spend hundreds of hours over the next year and beyond enjoying the Master Chief Collection. The last week of fun alone has already made up for the three weeks I was barely able to play the game I invested $60 in. 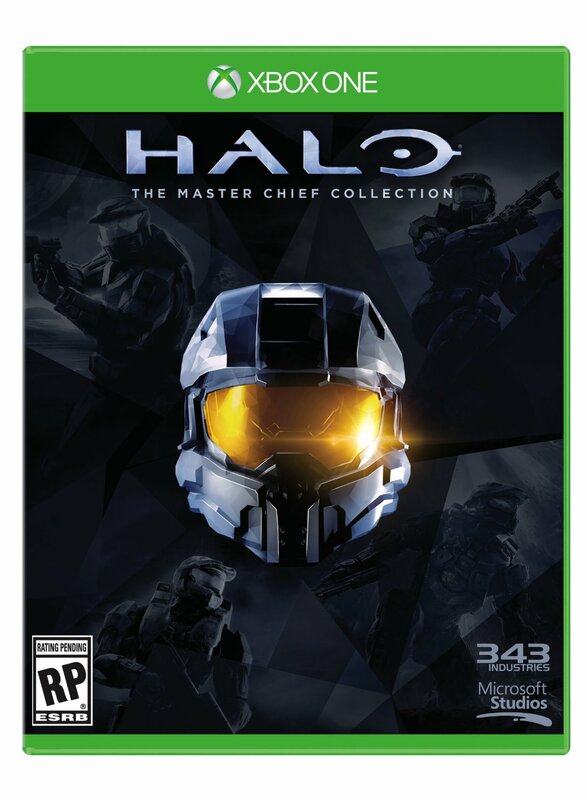 From the start the Master Chief Collection was a bargain for $60. They could have easily charged $60 alone for the Halo 2 Anniversary edition, but instead they threw in three more games and gave us an unimaginable value. For that, Halo: The Master Chief Collection is crowned A Video Game Life’s Game of the Year! Congratulations 343! Hey there, just letting you know I switched up the design here a bit, hope you like it. Nothing special, but I think it’s a bit cleaner than what I had going on before and now I’m able to make full use of the sidebar. 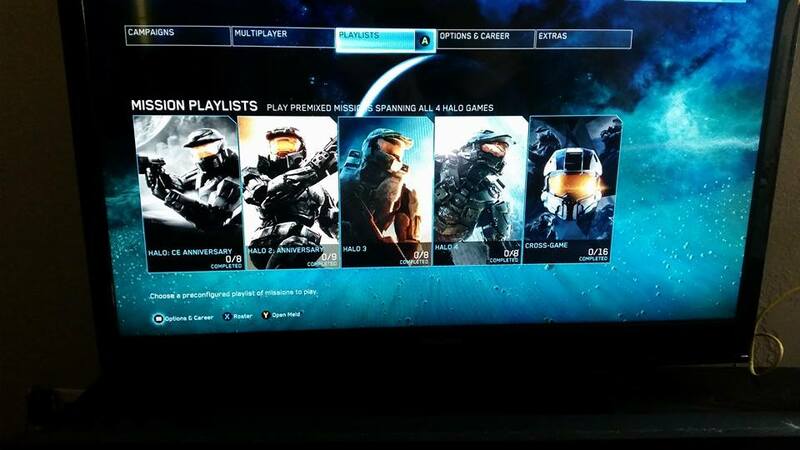 After about an hour of enjoying Master Chief Collection with friends we all lost our connection to the party and all of a sudden all of our friends lists went dark. They showed zero players online, and we were unable to invite each other back into the game and had issues sending messages even from the Smart Glass app. We were all able to join Halo matches on our own, but coudln’t join each other’s games or parties. It appears as if Xbox Live is once again under attack and most of the social services seem to be affected right now (over the last 30 minutes or so). We were having a blast playing Halo, and it’s frustrating to have our enjoyment interrupted once again by a group of “hackers” (the hashtag #xboxlivedown seems to show a widespread interruption). What a shame. I guess I’ll either try to play Dragon Age or just give up all together and play some 3DS to end the night. Originally posted on my other blog, BoiseLife.City. Bardenay is located in the Basque Block in Boise and is known for being the “first US restaurant distillery”. I ate there for the first time yesterday and I have to say I was quite impressed. The first thing you’ll notice upon entering the restaurant is the amazing atmosphere. It’s clean, spacious and welcomes you in from the beautiful streets of the Basque Block. The floor is very open and the high ceilings and brick walls make for a unique environment compared to most other restaurants. The next thing you’ll likely notice is the amazing smells! All of the food floating around the restaurant smells amazing. It was incredibly difficult to decide what to have for lunch because everything around us looked and smelled delicious! As you take your seat your eye will probably catch sight of the beautiful distillery, shiny and tall behind panes of glass. It’s quite an impressive sight! I finally decided on the Grilled Chorizo Sandwich, and I’m glad I did! It looked, smelled and tasted incredibly delicious! I had never eaten chorizo before and I’m glad the sandwich at Bardenay was my first experience because I can’t imagine anything tasting better. Served with a side of delicious sweet potato fries the lunch was great! It’s also worth noting the service was superb and the entire experience was wonderful! I highly recommend Bardenay in Boise, where you’re greeted by friendly staff, a great environment and amazing food and drinks. Give it a try! I noticed after we came home from breakfast with family yesterday morning I was unable to sign into Xbox Live. We only had a few hours before we had to head out again for another family gathering so I didn’t think too much of it. I did notice throughout the evening I was unable to view my friends via the SmartGlass app on my phone. I had been looking to see which of my friends had upgraded from the 360 to the Xbox One this Christmas. 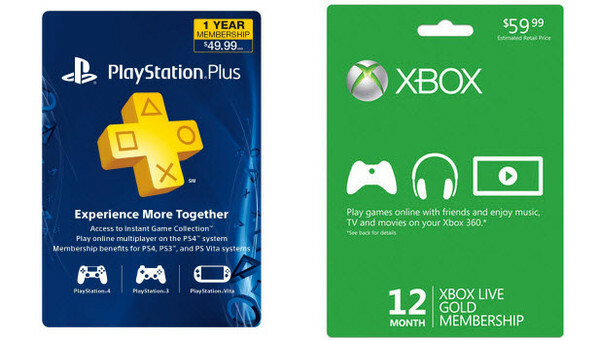 It was then I was first made aware of the mass outage affecting both Xbox Live and PSN. I saw a series of tweets mentioning the outages and found confirmation on both IGN and CNN. When I saw that the outages were thought to be a result of DDoS attacks I felt quite a bit of anger. Why would someone be so cruel on a holiday that means so much to so many people? I could imagine the thousands of gamers, the young especially, trying to boot up their new consoles only to be met with nothingness. From what I understand many were not able to play at all as the games or consoles themselves required updates and were not able to receive them. I was away all day so the outage didn’t affect me, but the fact that it was disrupting the Christmas joy of thousands of others saddened me. Did the outage affect you? Is it still affecting you? Xbox Live seems to be working as advertised right now for most people (including myself), but PSN is still mostly down. What happened (in a brief, barely informed nutshell)? The nuisance group which calls themselves The Lizard Squad apparently took both networks down yesterday. They were demanding retweets in exchange for releasing their grip on the networks. In the end Kim Dotcom seemingly single-handedly ended the attacks by offering Lizard Squad members premium MEGA accounts. A group called Finest Squad spent most of yesterday and today countering Lizard Squad’s efforts, and has been working to bring the “hackers” to justice. Their efforts are greatly appreciated, and will hopefully deter future “pranks”. We've been contacted by several law enforcers. We have forwarded all the proof and some of the LizardSquad members locations. #FinestSquad. Aside from all the drama, FinestSquad wishes everyone a Merry Christmas and a Happy New Year. 3DS / 2DS for Christmas? Friend code swap! Hey there, I received a 2DS yesterday and just figured I’d throw my friend code out there for anyone who wants to exchange. Right now I have Super Mario 3D Land, Ultimate NES Remix and Animal Crossing New Leaf. Any recommendations for a new 2DS owner? I haven’t used a handheld gaming device since the GBA. 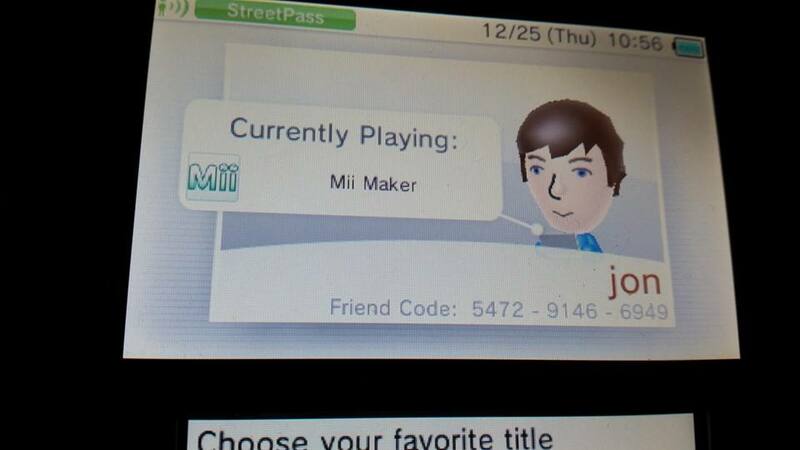 My friend code is 5472-9146-6949. Leave a comment with yours if you add me! Merry Christmas! 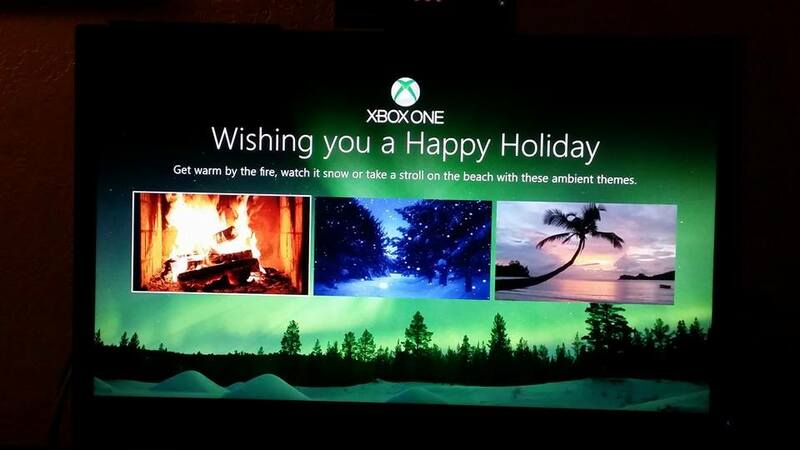 Start the morning off with some ambient scenery as Microsoft wishes you a happy Xbox One holiday!